In May 2018, for the first time, Swansea University took part in the international Pint of Science festival, taking our research to local pubs across the city. 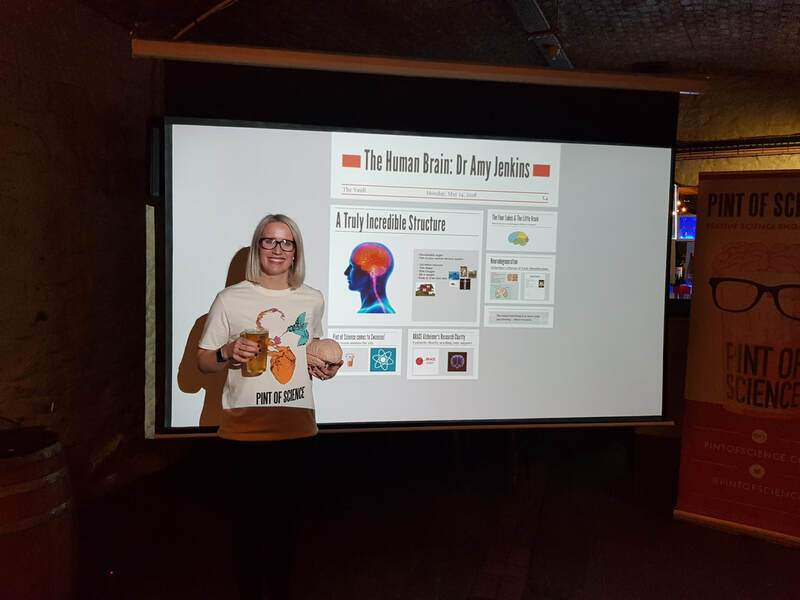 I took on the role of managing the theme titled 'Beautiful Mind' whereby I organised three-nights worth of fantastic science talks at the city's No Sign Wine Bar, shedding light on our research in an informal and relaxed setting. The video to the right is at the 2016 Research and Innovation Awards where I was asked to present my 3 minute thesis 3rd place speech to approximately 250 delegates. It was an honour to speak at such a prestigious event!